Traditional weddings can often be stressful endeavors that involve a lot of running around to make sure everything is perfect. 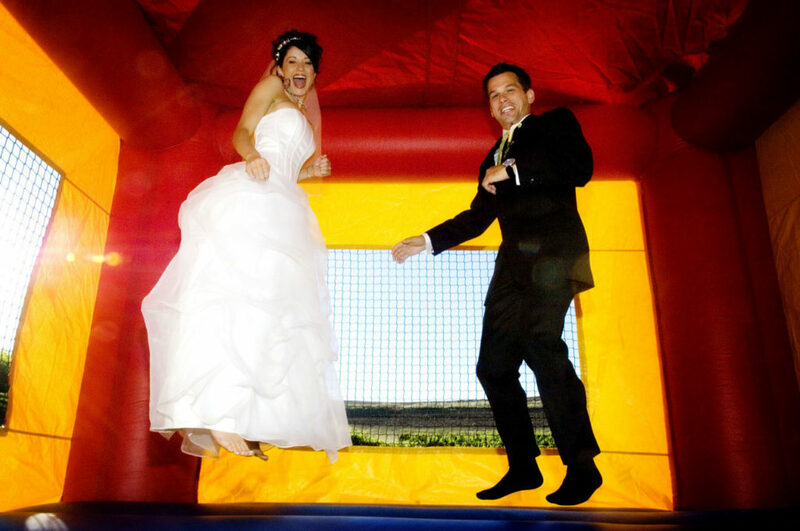 If your style is more of a casual nature, a bounce house is a great way to clue your guests into the fact that your wedding will be slightly different (okay, a lot different) than what they are used to. 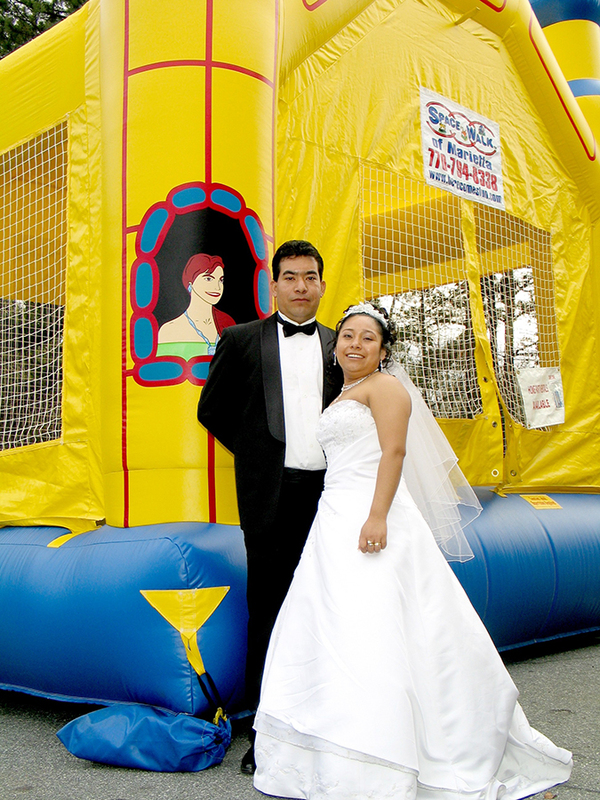 Inflatable rental companies offer a diverse selection of bounce houses to choose from that will complement your reception setting. Some designs are more elaborate than others. A castle, obstacle course, pirate ship, or rocket ship are just a few of the many options. If you want to make the experience even more memorable while keeping your guests cool, invest in an inflatable water slide. Most of the adults at your wedding will probably not have been in a bounce house in a few years, especially if they haven’t had children. They may even be a bit embarrassed to take the first step into the bounce house. But once they see the bride and groom dive head first into their chosen inflatable, shame will give way to sheer enjoyment, and the bounce house will be the life of the party! The candid photos of this unconventional reception celebration will stay with the happy couple for years. Embrace the unusual as you plan your outdoor wedding reception. Inflatable rentals could be the perfect addition to an extraordinary celebration to give guests of every age an exciting and unforgettable time.